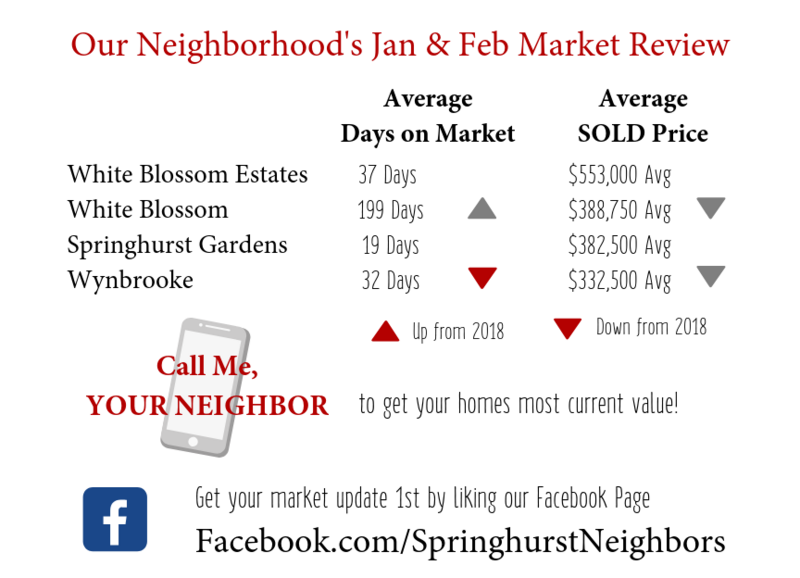 Keep an eye out for the postcard that was mailed out this week with updated market info for January and February 2019. In case you missed it, here it is again! To see ALL the homes for sale in Springhurst go to our Springhurst Page. And you can like our Springhurst Facebook Page here. If you want to know YOUR home's current value give me a call.